Fresh fiddlehead ferns. Only available for a short time in early spring, foraged fiddleheads offer a delicate flavor and crunchy texture. Edible fiddlehead ferns offer the taste of the forest. Deeply green and vegetal, they are prized for their delicate flavor and crunchy texture. Some say they taste a bit like asparagus, broccoli, spinach, or green beans, but it’s hard to pinpoint the exact taste of such a special little plant. 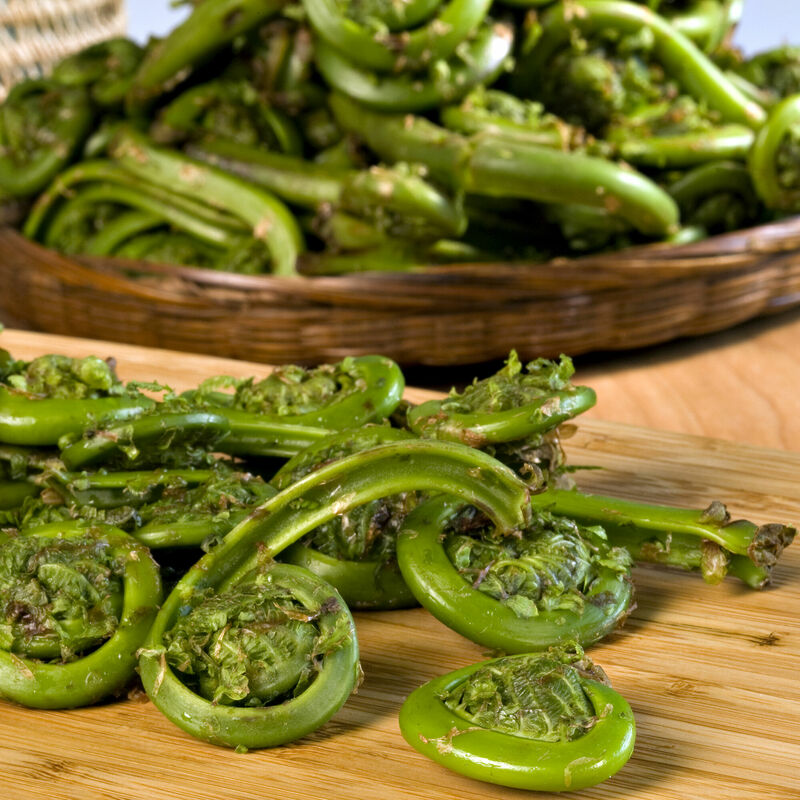 Packed with nutrition as well as flavor, fiddlehead ferns are only available for a brief moment in early spring. That’s why they are so prized by chefs and food lovers. Cooking fiddlehead ferns correctly is important. It is best to boil, steam or blanch fiddleheads before sautéing them, or using them in other preparations. Never eat them raw or undercooked. Be sure to read our cooking tips before you begin.